The educational history of the site bounded byPacific Highway,Nelson Street, Orchard Road and Mowbray Road commonly referred to as the Sydney METRO Dive Site. There is rich history of the development of educational institutions within the West Ward of the City of Willoughby. The first educational institution was dedicated to adult, working males (School of Arts and Mechanics Institute – 1870). The Mowbray House School (originally known as Chatswood Preparatory School opened in 1906 in the small stone building that had been built in 1875 as a School of Arts. The building was then used as the Council Chambers before becoming vacant. The Headnamsater was Mr Bavin. It wasn’t until 1883 that the first Public school was established (in Findlay Avenue). The school (Chatswood Public School) moved to its current location on the Pacific Highway in 1896. One year later, in 1897, the first Catholic school opened in Archer St (Our Lady of Dolours). The area around the Catholic Church in Archer St became the focus for Catholic education in Chatswood with the later development of Pius X College and Mercy College. In 1901, another educational institution for workers was established (after hours) within the premises of Chatswood Public School. 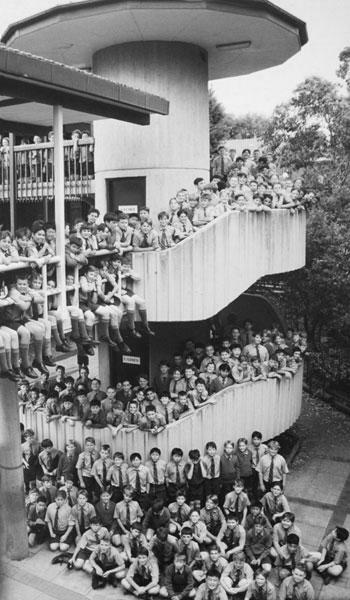 This was the Chatswood Evening College. It was then variously known as the Evening Continuation School and the Commercial Evening Continuation School. In 1971 the College moved to Chatswood High School (eventually being known as the Macquarie Community College in 1988). In 2003,the College relocated to 8 Thomas St, Chatswood. There was a school run by a Mrs Urquhart on the site of the Chatswood Bowling Club. The next tranche of school developments was centred on Centennial Avenue where in 1906 a small school was established. The school became known as Astraea College and later the Church of England Girls School (until 1993) when it was reopened at Astraea College and functioned until 1936. Also in 1906, Chatswood Preparatory School opened in Mowbray Rd (on the site of the prior School of Arts and Mechanics Institute). In 1914 the name of the school was changed to Mowbray House School. It closed in 1954. A small school in Victoria Ave was opened in 1911. It moved to Albert Avenue in 1914 and was known as Brackley College. It closed in 1919. I expect you are referring to Astrea College. This was established as a private school in Thomas Street Chatswood by Miss E A Keys in 1893 (another source says 1900). Photos indicate that it was on the corner of Lane Cove Road (now Pacific Highway). The school moved to a Federation Mansion on the corner of Lane Cove Road and Centennial Avenue in 1906 and it changed its name to the Church of England Girls’ School in 1916. From 1912 the school expanded to a second Federation mansion next door. At one stage there was also a kindergarten that claimed Edward Gough Whitlam and Marcus Loane (Archbishop of Sydney) as students—Gough Whitlam went onto Mowbray House School. Mowbray Public School opened in 1953. In 1955, the Kindergarten providing early learning open in Dalrymple Avenue. Chatswood High School in 1959. 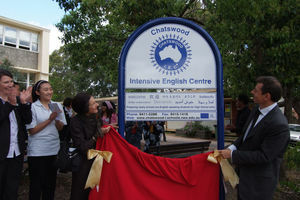 The Chatswood Intensive English Centre (within the grounds of Chatswood High) opened in 1979. Around 2011 the establishment of the North Harbour Learning Community ushered in a new mode of education. The learning unit, clustered around Chatswood High School comprised the primary schools of Chatswood Public School, Mowbray Public School and Castlecove Public School. In 2014 due to overcrowding at Chatswood Primary School, ten demountable classrooms were installed on the Chatswood High School site to house students of Chatswood Primary School. This is known as the Centennial Avenue Learning Community. Schools of Art and Mechanics’ Institutes were educational establishments originally formed to provide adult education, particularly in technical subjects, to working men. The first move to establish a School of Arts in the Municipality of Willoughby was made as early as 1870. 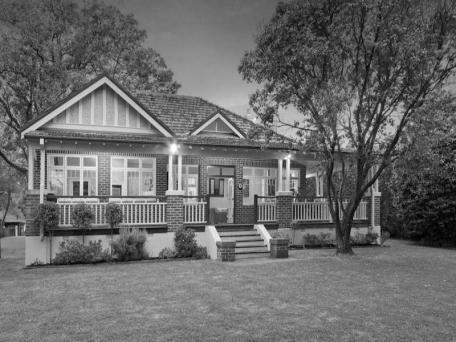 It first met in John Bryson’s cottage ‘Belmore’ on the north-eastern corner of Mowbray Road and Lane Cove Road (now Pacific Highway). The office bearers were all closely associated with the North Willoughby Council as aldermen or as auditors. A site in Mowbray Road next to ‘Belmore’ cottage was purchased (this site is now occupied by the Sydney County Council Works Depot). A building fund was commenced and the foundation stone of the School of Arts building was laid in 1875. It was a fine sandstone build­ing which in 1957 was moved to Beaconsfield Road to become the Holy Trinity Church. In 1877 Willoughby Municipal Council rented the building for use as Council Chambers. Council purchased the building in 1879 and it remained in use as Council Chambers until 1903. 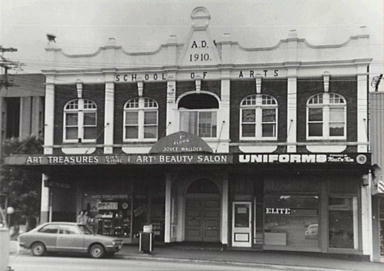 After Council takeover of the building, the School of Arts became defunct, although the building itself continued to be known as the School of Arts. IN 1880 WITH THE PASSING OF THE PUBLIC INSTRUCTION ACT, FUNDING HAD BEEN REMOVED FROM PRIVATE SCHOOLS, SO MANY CLOSED, PAVING THE WAY FOR THE OPENING OF A LARGE NUMBER OF PUBLIC SCHOOLS (THERE IS NO EVIDENCE OF EARLY PRIVATE SCHOOLS IN WEST WARD). 17 Findlay Avenue today (remnants of school buildings may be at rear of property). The first school in Chatswood was situated in West Ward. 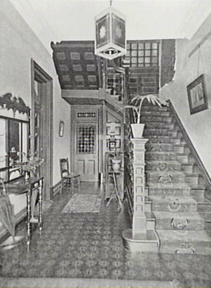 This was the original that was at 17 Findlay Avenue. The school opened on 9th September,1883. It was built on 2 acres of land in what was know as McMillans Paddock. The land was owned by Richard Harnett. At the time it was reported that the young children were growing up (near the Chinamen’s gardens) as heathens. There had been a school application by Messrs Bowen, Burt, Fathers, Montgomery and Treatt to the Department of Public Instruction on 23/02/1882. The weatherboard shed that became the school building was 10m long, 5m wide with 3m ceilings and could hold 54 pupils. It opened in July 1883. Rainwater tanks collected drinking water from the roof. Thirteen families with a total of 53 children living within a radius of 3½ miles undertook to send their children to the school. 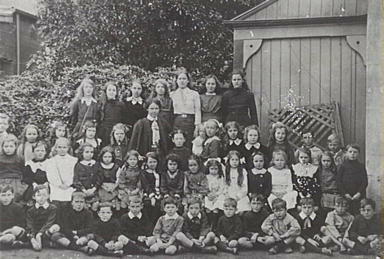 On opening the school had an enrolment of 34 pupils with Miss Agnes Burt as the first teacher. She remained there until 1894. By late 1885 there were 99 pupils enrolled. Another classroom was added in 1886 and later a verandah. A pupil teacher was also appointed. The pupils paid 3 pence a week for their education and it was the teachers’ difficult task to collect the money. Payment was abolished in 1906, but attendance was not made compulsory until 1916. The school was transferred to its present site on Pacific Highway in January 1896. The main school building was erected in 1896 as a single-storey three classroom, together with a teachers’ residence on land that was previously used as an orchard. The main building was progressively expanded in four stages between 1898 and 1983. An additional three classrooms were constructed along the Pacific Highway frontage in 1898, a two-storey wind of six classrooms was erected on the north side of the building 1903 to accommodate 400 girls and first storey additions to the original buildings were added during 1915. 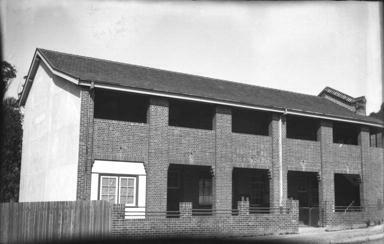 A separate infants’ school building was erected during 1928 and opened for the 1929 school year. Sisters of Mercy established a private school; St. Catherine’s on opposite side of Archer Street after purchase of house HILLGROVE (demolished). New Convent and school (Our Lady of Dolours) established in 1905 opposite present church. 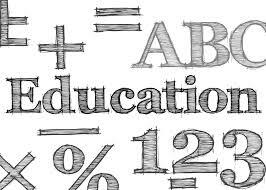 The passing of the Public Instruction Act, 1880 saw the establishment of Evening Public Schools which were devised to give an elementary education to adolescents who had either no or defective prior schooling. Such a school opened on 10th October 1901 and continued until 1911 when it was closed. It was replaced by the Evening Continuation School. On 14th March, 1912, the Commercial Evening Continuation School was opened. THis school catered for young people in employment who wished to increase their expertise in particular areas. Our Lady of Dolours, Archer St, Chatswood: 1896 – ???? Sisters of Mercy began teaching in Our Lady of Dolours’ Church/school in 1896. In 1897, Our Lady of Dolours opened in Archer Street where it is still operating. A school commenced by Miss E. R. Keays in Thomas Street in 1900. in Phillips ( ) p.___ there appears to be a reference to a Public School on the southern corner of the Pacific Highway and Thomas St.
A new School of Arts building erected in 1910 in Victoria Avenue. Formerly school at Thomas St, Chatswood. Moved to a large two-storeyed house in Centennial Avenue built in 1893 as a ‘gentleman’s residence’. From the Rate Books it appears that the name Astraea College was first used in 1908, which name it retained until 1919 . This school was enlarged in 1912 when it took in the adjoining house, a similar two-storeyed residence. There is a picture of girls at Astrea College in 1903. This is inconsistent with the assertion that the name was first used in 1908. Astraea College, Centennial Ave, 18 Centennial Chatswood; 1933 – 1936 Miss Elkington re-opened the Co of E Girls School as Astraea College but it finally closed in 1936. There is a heritage report on 18 Centennial Ave in the Chatswood Library Local History files under Church of England Grammer School (Astraea College). small stone building in Mowbray Road which had been built in 1875 as a School of Arts and had been used later as Council Chambers (this was on the north-east corner of the Pacific Highway). When it became vacant Mr Bavin started his small preparatory school there with an enrolment of thirty-two pupils. Over the years the school was enlarged. In 1914 the name Chatswood Preparatory School was changed to Mowbray House School. It was a boy’s school. Gough Whitlam attended the school. The original small stone building became the Mowbray House School Chapel. By the early 1950s the Electricity Commission had acquired the land on which the school was situated, but the little stone chapel which had played such an important part in the early history of the Municipality, was removed stone by stone and re-erected in Beaconsfield Road in 1957 to become the Church of the Holy Trinity. Lance Bavin served as Headmaster for the forty-eight years of the school’s existence. He was brother to Thomas Rainsford Bavin, one-time Premier of New South Wales. Gough Whitlam (later Prime Minister of Australia) attended the school from 1923-1927. Renowned poet Kenneth Slessor also attended the school. This was a small college conducted by Miss Eleanor Cranston. The school was originally situated in a large cottage in Victoria Avenue opposite the present Civic Centre and between Anderson and Spring Streets. Early in 1914, the school from Victoria Ave (see above) moved to the north­western corner of Albert Avenue and Anderson Street where it was first called Brackley College. Late in 1914 the school was again moved, this time to the western side of Archer Street (three doors south of Johnson Street) where it remained until 1919. The school closed the school when she married. From the Rate Books it appears that Miss Cranston always used her own rented homes in which to conduct the College, and that it never outgrew this private home accommodation. 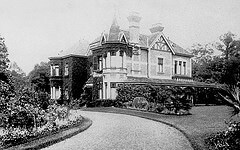 Her house in Archer Street, originally called ‘Backwell’ was renamed ‘Brackley College’ in 1917. Brackley College was a girls’ school but small boys were enrolled in the lower classes. Among those who received their early education at Brackley College were John Conrad Jaeger, later Professor of Geo­physics at the Australian National University, and the late Mr Justice McClemens. For a description of Brackley College by a former pupil, Miss limaTaylor, see The Good Old Days. In 1901 an Evening College was commenced at Chatswood Public School. In 1946 the Continuation School was re-organized to offer a broader range of non-vocational courses. Its name was then changed to Chatswood Evening College and it became one of the largest in the State. There is a newspaper article celebrating the Evening’s College 40 years Service to the community. In the 1970s the Chatswood Evening College was transferred to Chatswood Co-Educational High School. The increase in population of the Mowbray Road West area, following the creation of new streets, made the building of a public school in the district a necessity. In 1953 the Education Department resumed land in Kingsford Smith Street for the construction of a new school which was completed in 1957 and called Mowbray School. It faces on to Mowbray Road, and has infants and primary departments. In 2014, due to massively increased demand from residential rezonings along the Lane Cove side of Mowbray Rd, the Department of Education announced a redevelopment of the school site to increase enrollments from 300 students to around 1,000 students. According to Eric Russell’s, Willoughby – A Centenary History…1965, the school was called Chatswood West Public School. It took 100,000 pounds to build. During 2015 – 16, Mowbray School was 90% demolished and a new 1,000 pupil state-of-the-art 3 storey school was built. This resulted in pupil number increasing dramatically to around 600 in 2017. The first Principal was Rev. Brother R.B. Quirke. He supervised a staff of four to teach 147 boys. St Pius X Boys College School classrooms, ca.1936. Originally called Christian Brothers Chatswood. St Pius X College started in 1937 as Christian Brothers Chatswood, initially going to the Intermediate level. In 1937, the College opened with 147 students. Today there are over 1100 students. The College soon established itself as a place of academic excellence. Its first Dux, James Biggs, went on to great success as a Professor of Medicine, thus beginning a tradition of high-achieving students graduating from the College. The first Leaving Certificate class graduated in 1949. Has been open since 1959 on Centennial Avenue. Wildie (1983 p.55) reports that in 1959, secondary classes from Chatswood Public School were transferred to the the new high school. In 1959, the Education Department purchased a large property in Centennial Avenue, consisting of a house set in a garden of several acres. This property was called ‘Chislehurst. It had been the family home of the Horden Family (drapers of Sydney). Read more about Chislehurst. A recent proposal to lay a plaque celebrating Chislehurst contained the following citation: Originally called Mooroombah, a two storeyed brick house was built on 14 acres by J V.
until his death in 1940. In 1953-4 the property was resumed by the Dept of Education. original stained glass window is over the Principal’s door. In 1954, the building of Our Lady of Dolours School in Archer Street was commenced at an estimated cost of 35,000 pounds. Our Lady of Dolours High School, Cnr Archer St & Malvern Avenue, Chatswood: 1964 – ??? A student increase in 1964 saw the commencement of another building on the corner of Archer St and Malvern Avenue. The school is located within the grounds of Chatswood High School at 24 Centennial Ave, Chatswood. Chatswood Intensive English Centre is the first step for high school students arriving from overseas and wishing to continue their education in New South Wales. Chatswood Intensive English Centre (IEC) is part of the network of Intensive English Centres provided by the NSW Department of Education and Training and is situated within the grounds of Chatswood High School. The Centre’s supportive multicultural learning environment encourages all students to feel at ease in their new country and to quickly acquire English language skills, before moving on to the wider experience of a secondary school. Newly arrived students whose English skills are assessed as being insufficient for successful placement in high school classes attend the Centre to develop their language skills and prepare them for attendance at high school. Students attend five days a week during school terms. On 8th September 2009 Chatswood IEC celebrated 30 years years of operations. Little Learning School Chatswood is a large 80 place Child Care Centre that caters for the local community and families in the lower north shore area. There is now (2014) a plethora of coaching centres in the Chatswood area. The North Harbour Learning Community has been developed between Chatswood High School, Chatswood Public School, Mowbray Public School and Castlecove Public School. This provides opportunities for students from local schools to enrich and empower their thinking. In 2011 fifty students from these schools each wrote, illustrated and edited a picture book for primary school students. primary school students were buddied with high school students and worked together by editing and commenting on each other’s work. The published works were exceptional and exceeded everyone’s expectations. Each book will be placed for loan in each school and Willoughby Library. The Young Authors Program was an authentic learning task and students learn well in this context. The literacy and creative skills gained are quite complex and our students met the challenges brilliantly. Due to overcrowding at Chatswood Primary School, ten demountable classrooms were installed on the Chatswood High School site to house students of Chatswood Primary School. The Chatswood Public School Jubilee 1883 – 1933, Chatswood Public P&C ??? CHATSWOOD PUBLIC SCHOOL – PRESENTATION TO MISS BURT. Yesterday Miss Burt, who for the past 11 years has had charge of the Chatswood Public School,was the recipient of several gifts, indicative of the appreciation in which her services to the school are held. There was a gathering of about 125 children at the schoolhouse, besides parents and friends. Mr.Robert Forsyth presided over the meeting. He ex- pressed the sorrow he and all other friends of Miss Burt felt at losing her from their midst, where shehad laboured earnestly for so many years. Mr Cullen-having first presented to a pupil, Miss May Chaffer, a book on behalf of Mrs Ford, ofthe School Board for having sold the greatest number of tickets in aid of the Echo Farm Home-called upon another scholar to read an address from the friends and pupils of Miss Burt, and from the teachers associated with her. The address set forth that it was a token of their appreciation of Miss Burt’s unselfish efforts to aid their progress and pro-mote their welfare. This was handed to Miss Burt, and Mr Cullen afterwards conveyed to Miss Burt a handsome flower vase -a present from Mrs.Ford-and an elaborate travelling bag with silver mounted fittings, a memento from the school. Mr.Cullen eulogised Miss Burt, and said that she was leaving Chatswood to take charge of the East St. Leonards Superior Public School in the place of Miss Cardwell , and he felt certain that she would meet with the same success there as had attended her at Chatswood.A bouquet of violets was next presented to Miss Burt, who returned thanks. Prior to the arrival of Messrs Cullen and Forsyth, Miss Burt was given a card case and photograph album, both of chaste design, by her ex-pupils, on whose behalf Mr Asheracted. The proceedings, which were enlivened by several songs from the children, terminated with much cheering.